and here it is, bolted into place. had to source the pedal(s) locally. couldn't find the A and B, so got the C off an EK2. it was a perfect fit. not a bolt out of place. 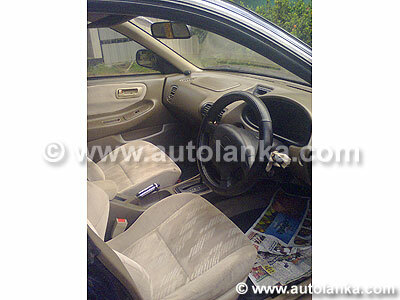 its funny how this car was made for a manual but someone decided to stick an auto in there. every little part had its place, with the bolt holes deleted by rubber bushings. and there it is, the cheeky little bugger! have to unceremoniously cut the brake pedal, tho. 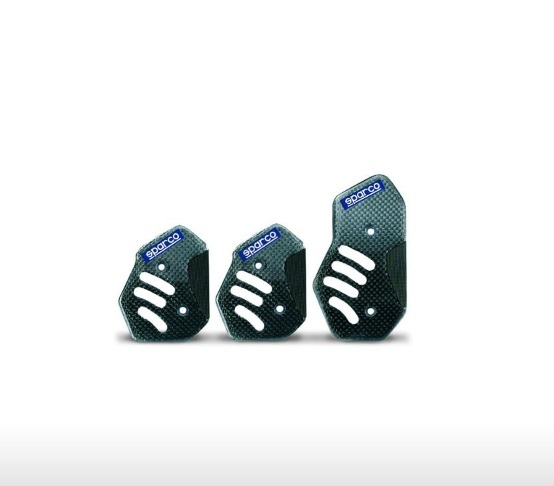 so invested in some sparco carbon fiber pedals to cover up the evidence. got these directly from sparco italy. tough as nails, light as a feather. impressed! got a simota cone to fit. need to fabricate a housing like the stock box, so i can use the existing cold air piping leading out from under the car. 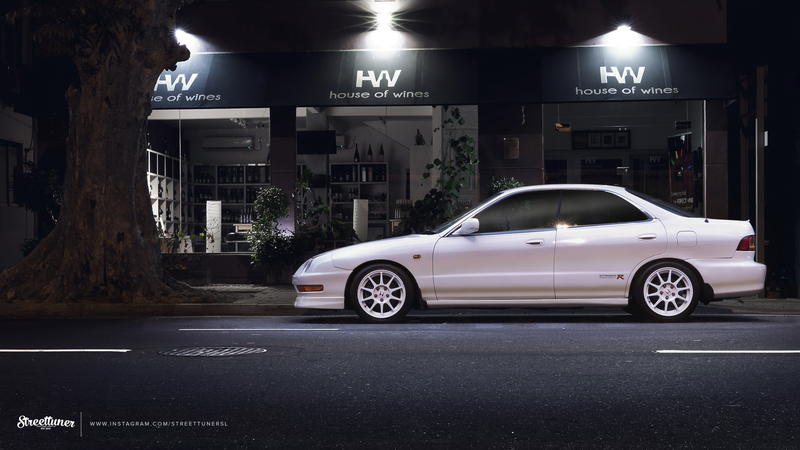 there's a Mugen DC2 4:1 header in there as well. its still in its wrapping. plus it has a thermal insulation which needs to be wrapped. will post pics of it once i'm done. need to sort out the exhaust piping. plus get hold of that tanabe soon. getting it done as soon as the car is out. this is one of the costliest and painstaking parts of the build. making a 15 year old car look like it rolled off the plant yesterday is no easy task and the interior is where the age shows the most. this is not off my car, but its the same tan interior. so, the tan had to go. did a lot of research with my paint guy and sourced an epoxy interior paint with a heat and electrolyte (sweat) resistant primer from italy. redid in satin black. getting the felt bits done in fabric. 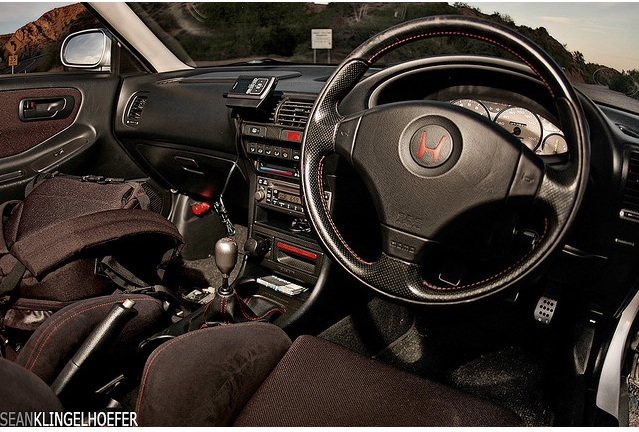 the momo type R DC2 steering. with an airbag of course. cost me packet for one in good shape, and after a buffing with shoe polish, it looks killer! got hold of a type R DC2 gauge cluster as well. and then there's the gear boot/knob. black rexin with the red herringbone stitch, OEM honda. i might keep the seatbelts tan. its good to have a little reminder of what the car was. but the seats will definitely be replaced. the rear will be upholstered in black, while a pair of black recaros will replace the fronts. again, in time. recaros are harima ganang! !